FULTON, NY – Violet E. Boigeol, 96, of Oswego and formerly of Fulton, passed away on Tuesday February 2, 2016. She had worked at Nestle Company and Marine Midland Bank in Fulton. 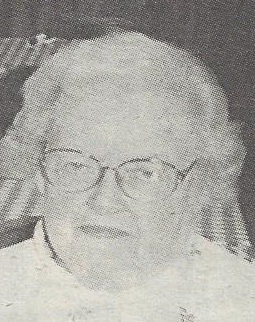 Violet was a longtime member of the Church of the Nazarene in Fulton, former member of Elizabeth Chapter #105, O. E. S. and Mount Pleasant Grange #349. She was predeceased by her husband, John Harold Boigeol; and step-daughter, Mary Ellen Armstrong. Surviving are her sister, Elizabeth Conway of Fulton; and several nieces and nephews. Calling hours will be held 4 to 6 p.m. Friday at Foster Funeral Home, 910 Fay St., Fulton, with services 1 p.m. Saturday at the Church of the Nazarene, 914 Utica St., Fulton.